I come bearing GREAT TIDINGS OF JOY!! 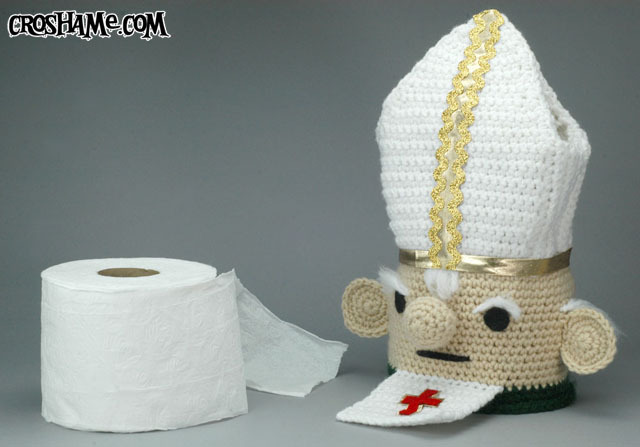 The Papal Toilet Paper Cozy! Tired of all those heathen T.P. cozies stinkin’ up the joint? YOU NEED THE TOILET POPER! Toilet Poper even comes with his own fresh T.P. roll included! Available here! Order yours today and get it in time for the Holidays. For a full demonstration of the Poper’s amazing abilities, be sure to watch the video below!! 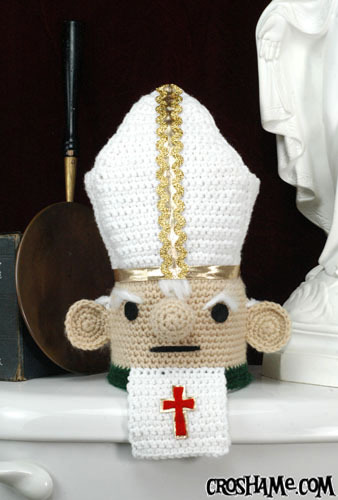 This entry was posted on December 7, 2011 by croshame. 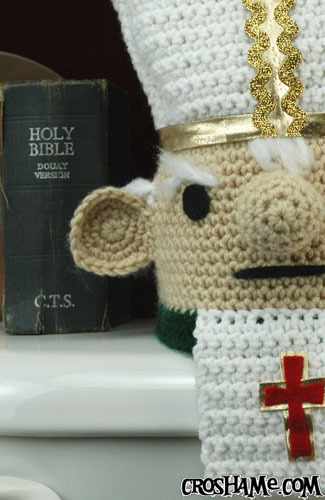 It was filed under Antigurumi, Croshame, Etsy Store .